Amazing service! Waitress was attentive without being overbearing. I loved the variety of food and my short ribs were amazing! I will definitely go back. We were celebrating my boyfriend’s birthday and they made it a little more special! Generous portions so consider sharing..I'll definitely eat here again! Best fried chicken I have ever had in my life...(please don't tell my mom) Service is 5-star, our server was super friendly and guided us on ever aspect of our experience. Decor and vibe of the restaurant was great. Side dishes were amazing, and the honey hot sauce should come with a straw!! If your ever in Las Vegas please stop by the Venetian and go to this place, you will not regret it! 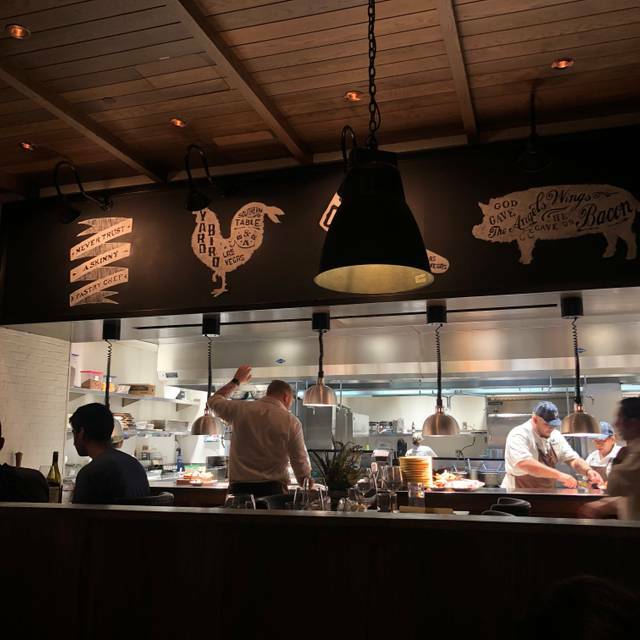 We finally got the chance to try Yardbird at the Venetian this Easter for brunch. It did not disappoint. The yelp reviews were all on point. Great food and great service. We tried the fried chicken n waffles n watermelon, shrimp and grits, biscuits and peach cobbler. All were delightful!! Highly recommend! Wow, this place is fantastic. Very creative menu and the food was out of this world. We also had an amazing waiter who was super attentive and made excellent suggestions. I'm even a vegetarian and I loved this place. The cocktail menu was very unique. Well worth a visit to anyone in Vegas. Disappointing service, front of house staff had no clue, poor inventory of alcohol, missing most of the bourbons on the list on a Saturday night. Empty tables but would not seat even 5-10 min before reservation. Pretty sure waiter was stone, and food arrived luke warm. Having had a great time at the Miami location, the Vegas location left me disappointed. Our group of eight had a great time at the Yardbird. Appetizers were delicious and the entrees were served steaming hot and all at the same time. In particular, we enjoyed our waiter as his suggestions were helpful without going too long. I'd definitely revisit this restaurant if given the chance. Food was really good but could have been warmer. It was served in cast iron skillets with a wood base but the cast iron was cold enough to touch. The food was lukewarm but tasty. The cocktails we ordered were very good. USE OPENTABLE, DON'T MISS YOUR OPPORTUNITY FOR GR8 FOOD! My hubs and I went for brunch on a Saturday - wasn’t too crowded and we were seated right away. Our waiter was a gem and explained the menu in detail! Had the Biscuits and gravy and the brisket sandwich and they were to die for! Wow! Slap your hand on the table! 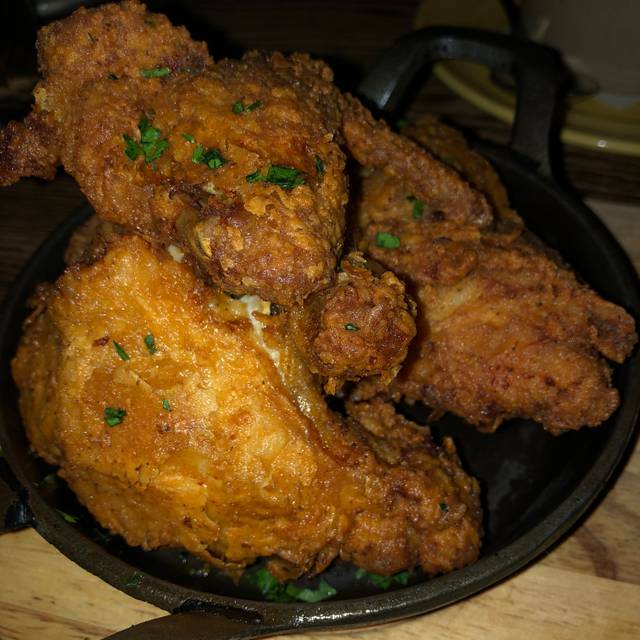 This fried chicken is the best I have ever had! 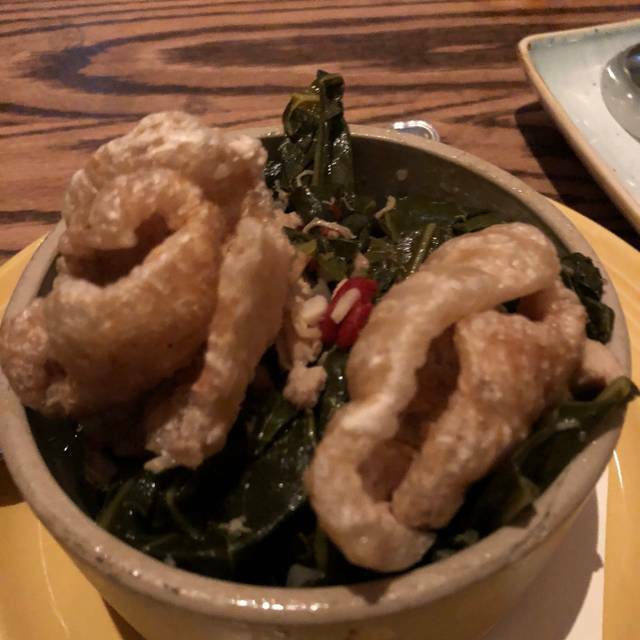 My husband and I ordered hush puppies to start...crispy doors to heaven on the outside...inside...there are no words :) We followed by splitting the chicken and waffles along with crispy brussels and the collards. Each bite was followed by a kinda moan, sigh, transcendental experience! Service was amazing and the price was right on! 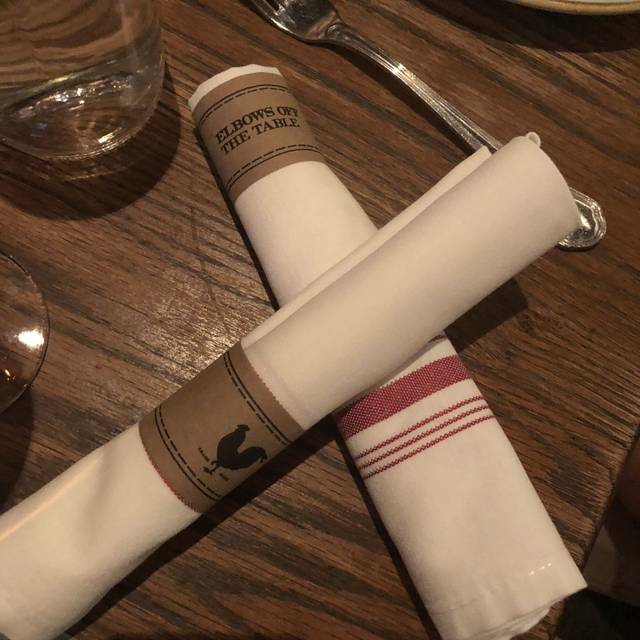 We discovered the yardbird on our last trip so this time around we wanted our friend's to eat here and like before it was amazing! This place rocks! The food and sevice was fantastic! Fried chicken with their hot sauce is a must. Shrimp and grits were awesome as well, best grits I’ve ever had! Great old fashion cocktail! Enough said... just go and experience some great southern cooking, you won’t be sorry! Really enjoyed the food. Service, good, and ambiance was great. Can’t wait for them to come to DC. Love everything about this place-second time back! Biscuits, chicken and short ribs are the best! Service excellent! Overall dinner was good. The booth seating is awkward, the bench is much lower then the table as well as the chair across. 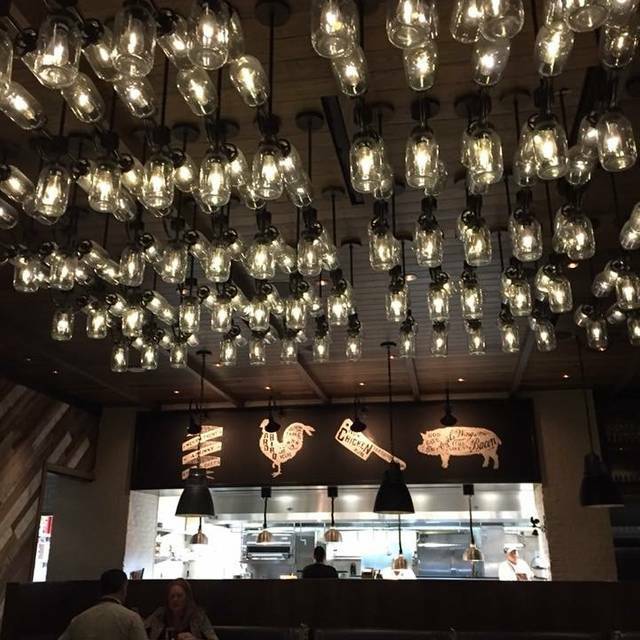 Feels like you’re looking up at your dinner companion. Was also surprised there was no acknowledgement of a Birthday at the table even though it was stated on reservation. Portions are large so we ordered way to much food. While everything was good, I wouldn’t say anything was over the top memorable. Everything about this meal was terrific from the food to the table side service. The only ding I would say was at reception. We had a reservation, we were a few min early and we were asked to step aside for a moment. Several other parties were seated ahead of us. 10 minutes passed with no update. We had to ask for one. We were eventually led back to our table where we saw several other empty tables and we wondered why we had been made to wait. Service was great! My husband and I shared the fried chicken and short rib. Both dishes were delicious. Food was excellent. The service was outstanding. The ambiance was great. Felt like family. The energy was good. The food and service is off the hook. They train their staff very well in service and knowledge of the menu. Outstanding. You must order the chicken, it's amazing. Kedric was fabulous and the assistants were on point. 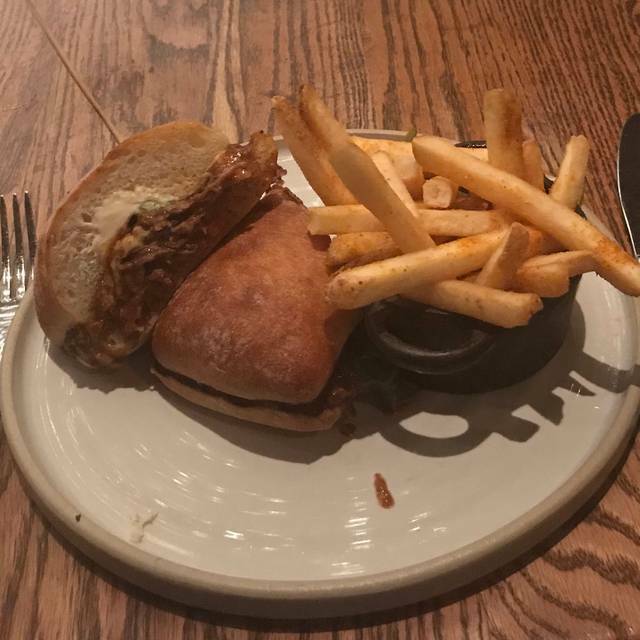 From the perfectly made old fashion to the speciality bourbon cocktails on the menu to the Chicken waffles and watermelon, wedge lettuce salad and the peanut butter ice cream pie were all Wow! 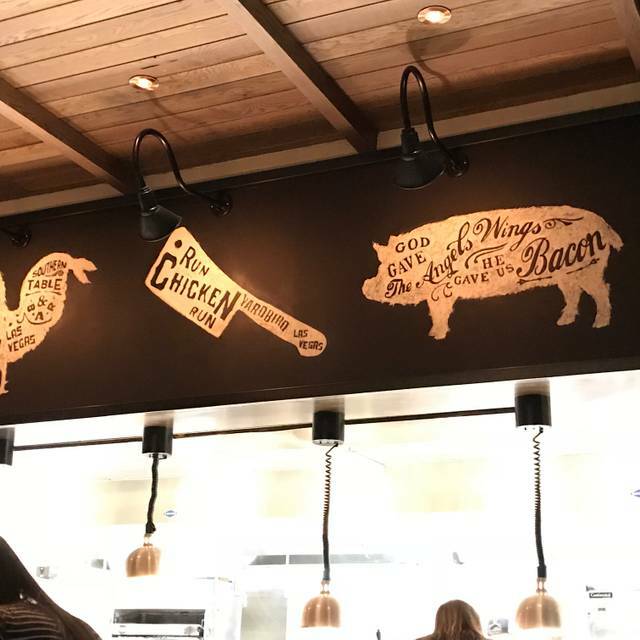 Some friends recommended we try Yardbird and we were so glad that we did. It was quite busy on a Saturday night, so I would recommend making reservations if possible. Our waiter was funny and had great suggestions. 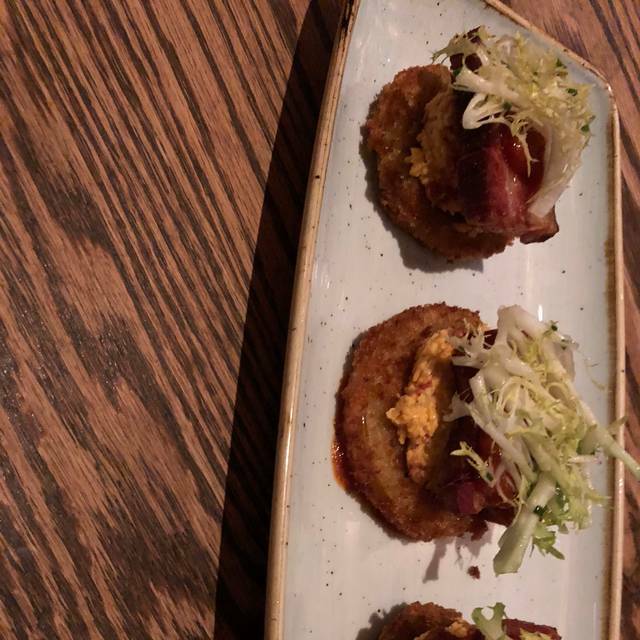 We ordered the fried green tomato BLT for our appetizer- three large slices of fried tomato topped with frisée and pork belly and pimento cheese- SO good (but not between bread FYI- we expected a sandwich). Then, we split the chicken and waffles (four pieces of fried chicken, two large waffles, and watermelon) for our main course and it was incredible with a little hot sauce and syrup (and I’m from Georgia- I’m no amateur at chicken and waffles). We also had two cocktails- a chocolate infused bourbon and a peach bourbon drink that were very tasty. Since we split the entree, we had a little room for dessert and enjoyed peanut butter ice cream pie- the slice was large enough that we could have split it, but we each ordered our own and it was so tasty that we finished both. This was our nicer dinner on this trip and we can’t wait to go back. MJ was our server and she was fantastic! Loved the fried green tomato blt. It was my friend’s birthday in Vegas so we wanted to take her to brunch at one of her favorite places to eat when she visited last time. The menu is southern style with a twist. The staff was nice and the service was attentive. They even gave her a birthday slice of delicious carrot cake that we all shared. The place was packed and it is a popular restaurant! Great appetizers and side dishes. Don't miss the Peanut Butter Pie, it was incredible. The chicken was good, but, in my opinion, did not live up to the hype. Great service and amazing food! The fried chicken was to die for. It was perfectly seasoned throughout and juicy! The biscuits were the best I’ve ever had. 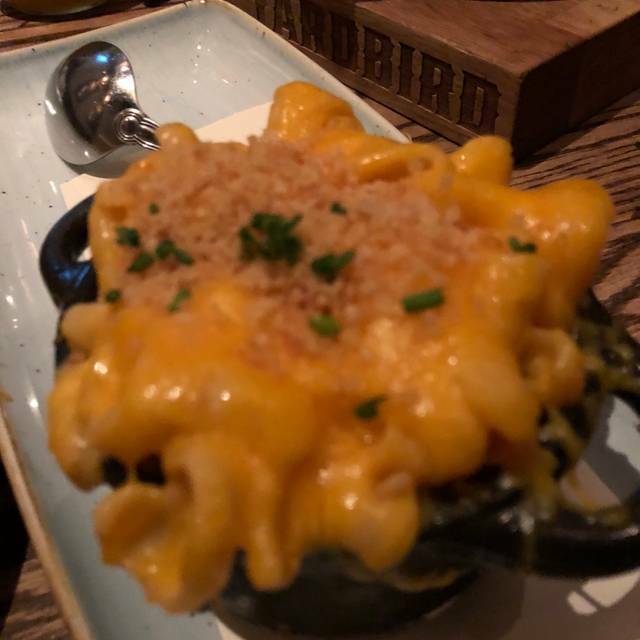 We tried the street corn and Mac and cheese and it was a great addition! Table for 2, reservations at 11am. - we ordered the skillet cornbread, fried green tomatoes, chicken n waffles n watermelon, smoked brisket sandwich, peach cobbler and a southern peach cocktail. The chicken was so tender and juicy, it’s brined for 27 hours! Cheddar waffles are a winner, with the bourbon maple syrup 💯. Honey hot sauce on chicken 💯 💯. Skillet cornbread was so moist and slightly sweet, I scraped the pan 😂. Fried green tomatoes were over the top delicious with big thick pieces of pork on top. Smoked brisket sandwich was a bit sweet, my husband packed up half to-go. And the peach cobbler was soft and not too sweet, definitely enough for 3-4 people. The southern comfort cocktail was so smooth, my husband said you could taste the whiskey but I found it satisfying. Verdict: highly recommend. The chicken was delish and so many desserts to try! Tip: brunch menu is only on weekends. The food is amazing, the service is warm and friendly and the ambiance feels like you are sitting in your kitchen chatting with friends. If you love comfort food, this place is a must when you visit Las Vegas.